It is a very nutritious Asian legume with a high content in proteins and fats. The soybean is difficult to digest so the consummation of soy products and their derivatives is best after fermenting. The toxins of this legume, which may hinder the digestion process, are decomposed through the fermentation process. Therefore, fermented soya products are easier to digest and healthy in small quantities. Large areas of virgin forest in Brazil and Argentina have had to yield to fields of soybeans; pesticides are used in the cultivation; growing transgenic soybeans is very common in South America and many products derived from soya are treated during production with hexane, a chemical solvent, which may cause neuralgic damage. You cannot call this “natural”. 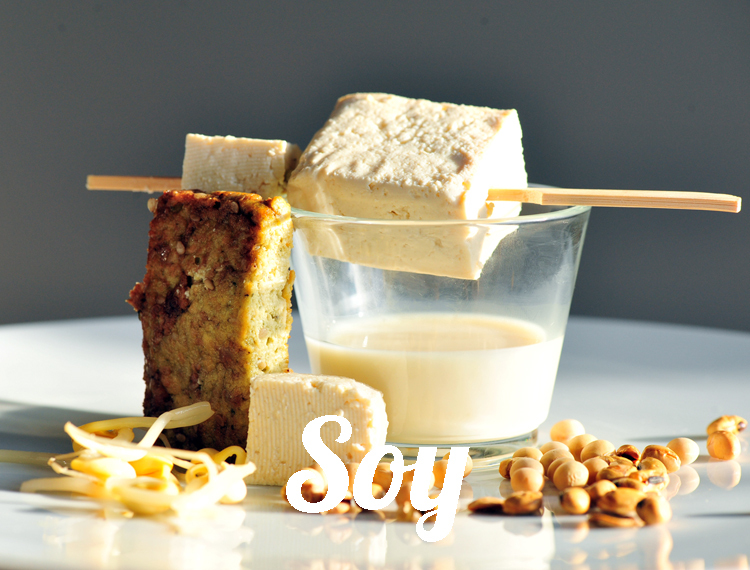 Soya contains phytoestrogens (like isoflavones). These phytochemicals (secondary plant substances) are related to the less frequent occurrence of breast cancer in Asia, due to the higher consumption of soya products. There is now also talk about the decline of the symptoms of menopause as a result of taking isoflavones. Current statements are still contradictory.